My Batik Feathers project is going quicker than I had anticipated. I have all the blocks done. Next comes the setting. Brown, tan, beige, cream, a little more red and a wild outside border are in store! These are the fabrics I am using. 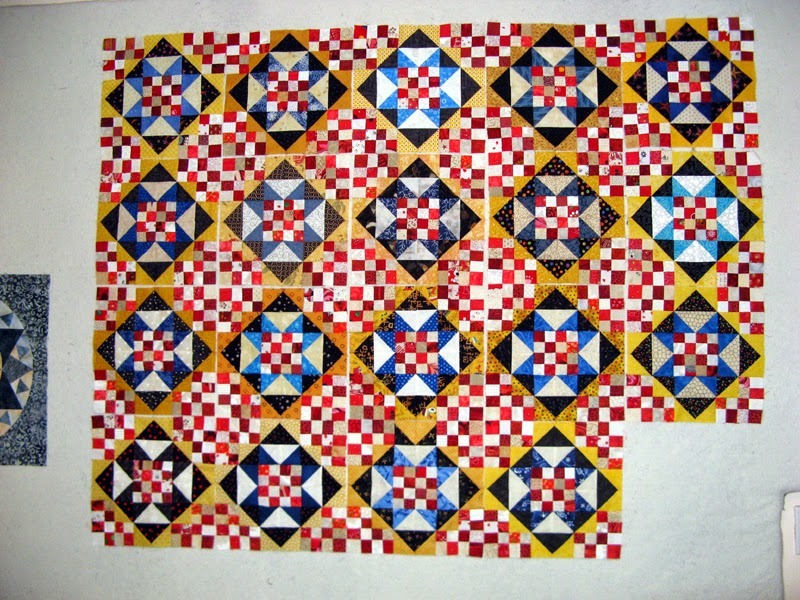 It's one of those reds for the inner border and the top right fabric is the outer border. The larger piece on the bottom will be the back. Below is the design Batik Feathers by Donna Lynn Thomas. It can be found in her On-Point Patchwork book. Her designs use the Omnigrid On-Point Ruler. I'm so anxious now to finish this up. Any ideas for a "K" name? The only thing coming to mind right now is Kwill. 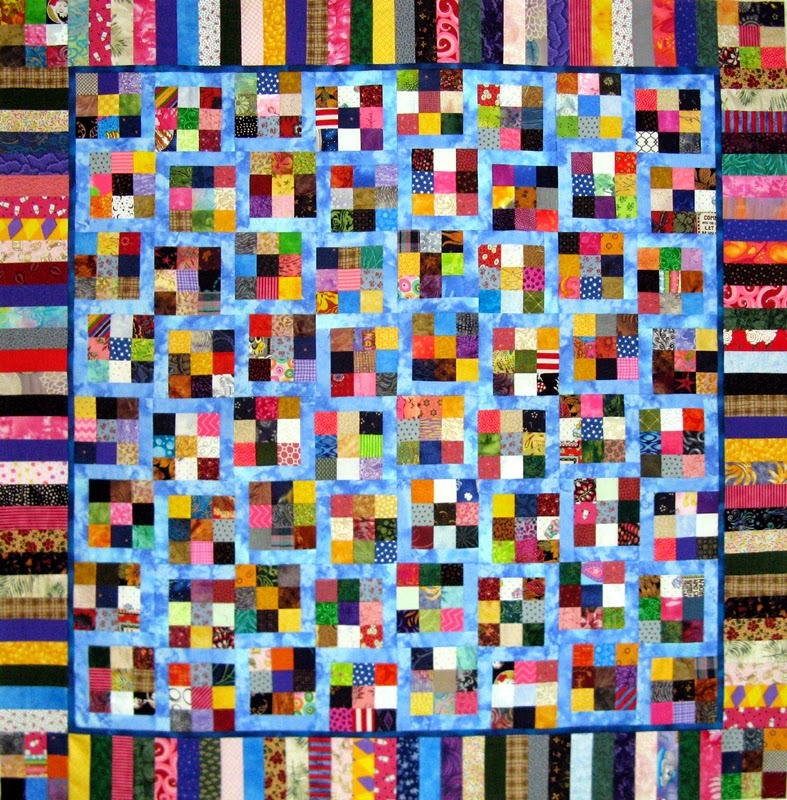 I have feathers in mind... See other projects going on today through the links of Patchwork Times. A little stash enhancement this week, but it's all for Korners which is finished! The back and outside border just were not in my stash, so I went to Paradise Sewing with my 50% discount coupon. Korners is a Bonnie Hunter design called Winston Ways. It also is one of my 2015 UFOs that has yet to be called. It will be nice the month it does to have it done. 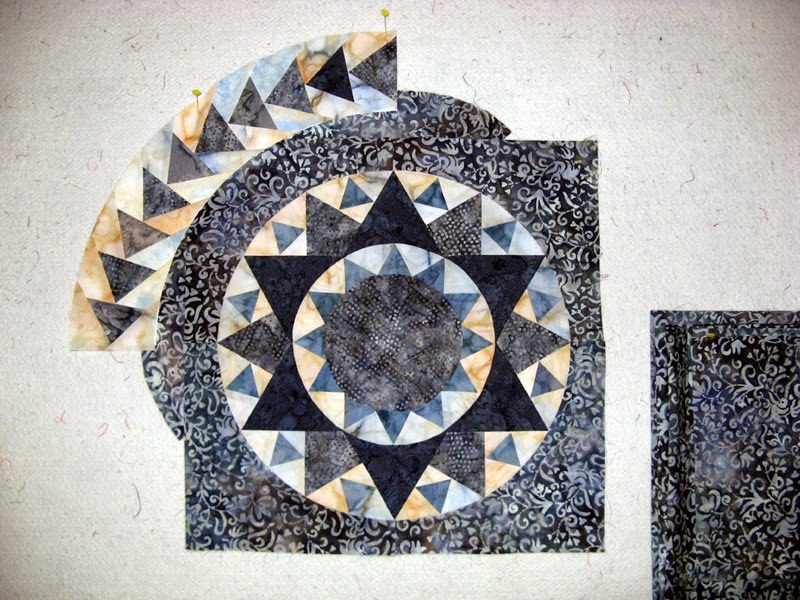 I have started the hand applique on Kompass. I haven't gotten too far, but all is going to plan! Do you remember this project from late January? I am back to working on it. The blue/red block was done at the workshop. Green/red block next. There are three more...but I won't spoil the fun of coming back tomorrow to see what's on my design wall! Hope you have a wonderful Sunday. 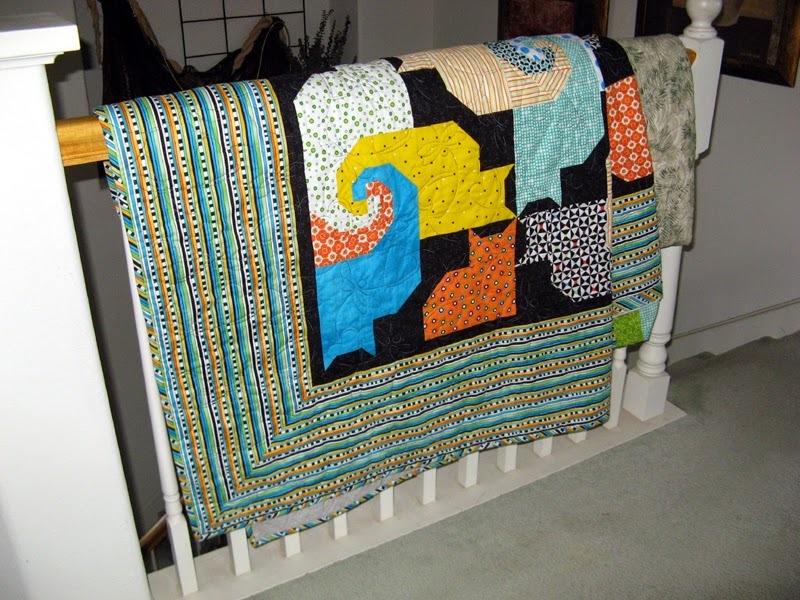 See how others are using their stash through the links at patchworktimes.com. Here is where Kompass ended up as the lights went out Tuesday night. I have the flying geese ring done. Took some very clever piecing to have enough of the spotted fabric let me tell you. I placed the three FQs that I have to work with where I am planning for them to go. 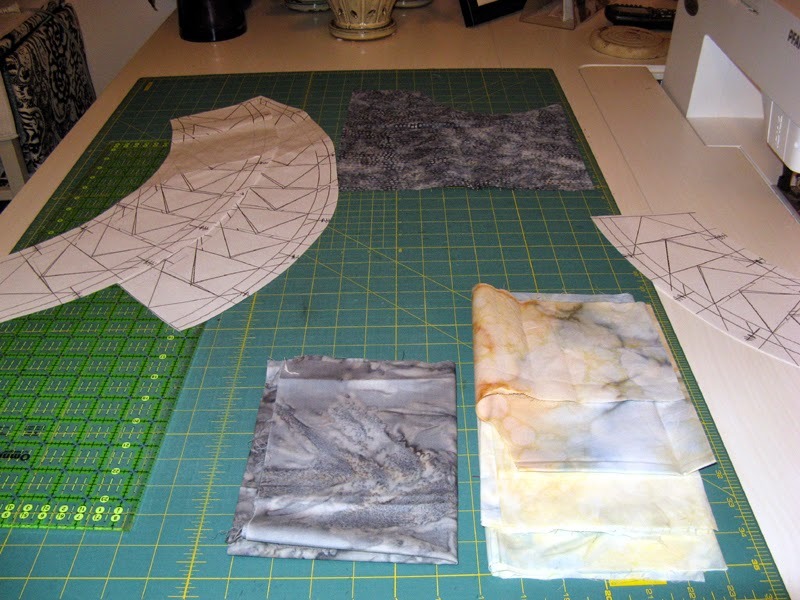 These are full FQs so I should not run into any fabric shortage making what I have fit all four sides. Until next time...enjoy your own sewing projects. Happy Wednesday! I have two things going on today. 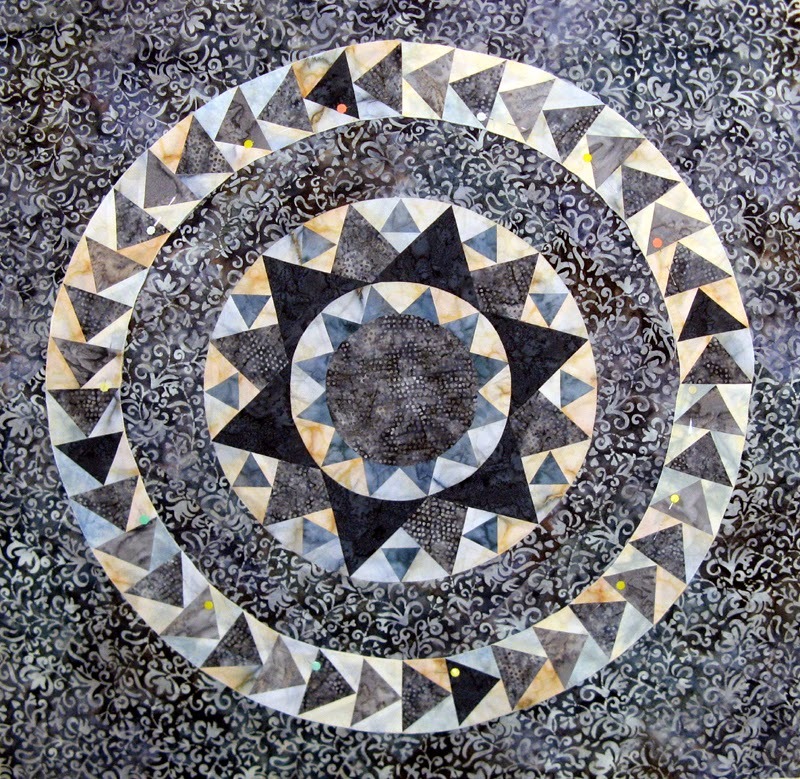 First is Kompass which is a medallion that I made in a workshop with Sunshine Quilters at Memory Lane in El Cajon. Norah McMeeking lead the way with her Bella Bella designs. 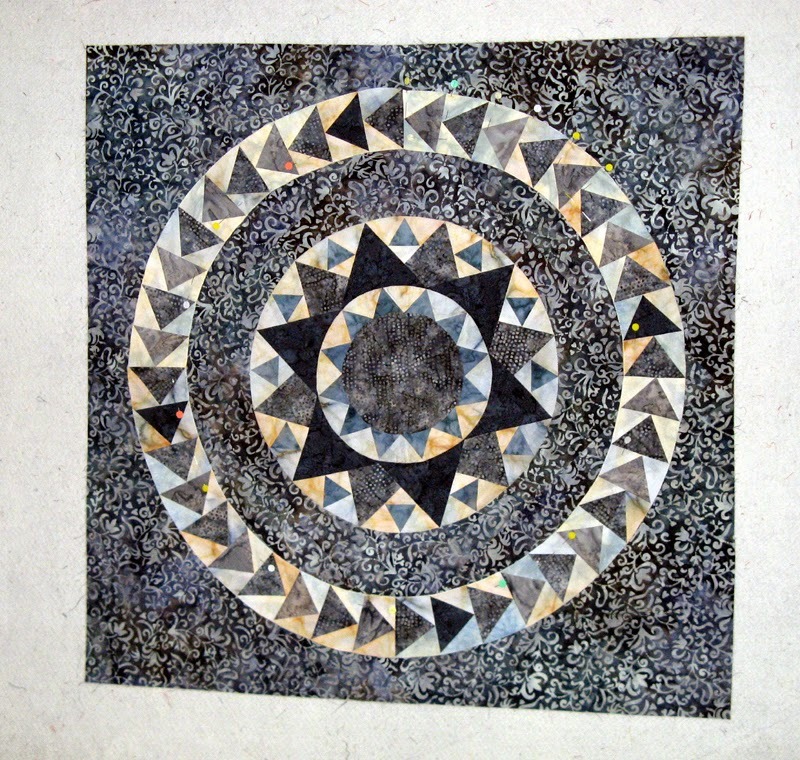 The workshop project called Sewing in the Round finished at 19" with the wedges making it into a square. I wanted it just a bit larger and with that meant adding something of course. I have very little fabric left from the project so I have added in the light gray you see in the middle. I also added in a similar light background, so much the same you would never notice. Fortunately, I have lots of the outside gray print to "point it". Drafting a larger version of the flying geese in a quarter circle was a bit of a challenge as I started off with a much smaller size; 6 1/2". 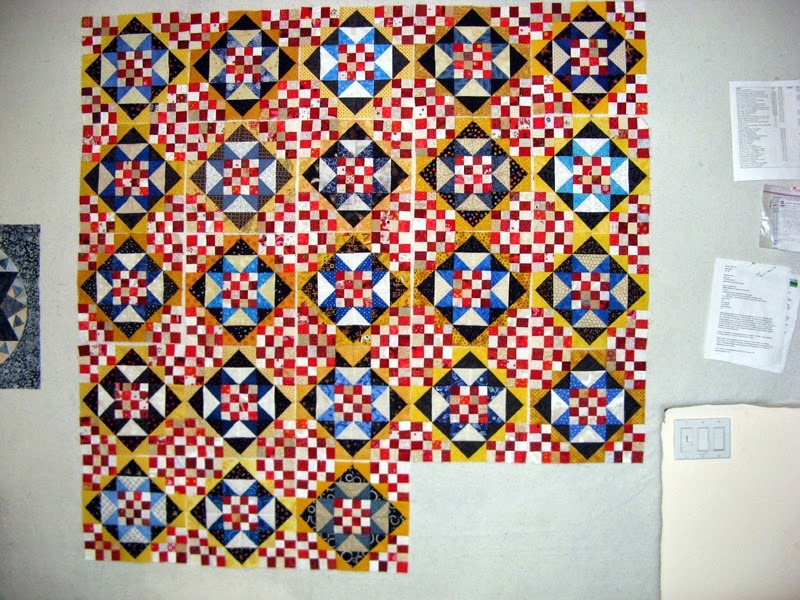 Once I put the project on point I will be adding the flying geese on top; appliqueing it in place. It will be placed about 2 1/2" from the edge of the points of the circle. Well that is my plan... Looks like I have a pretty good plan at work... I wish I had more of the darkest gray and I am a bit concerned about having enough of the medium gray dot. 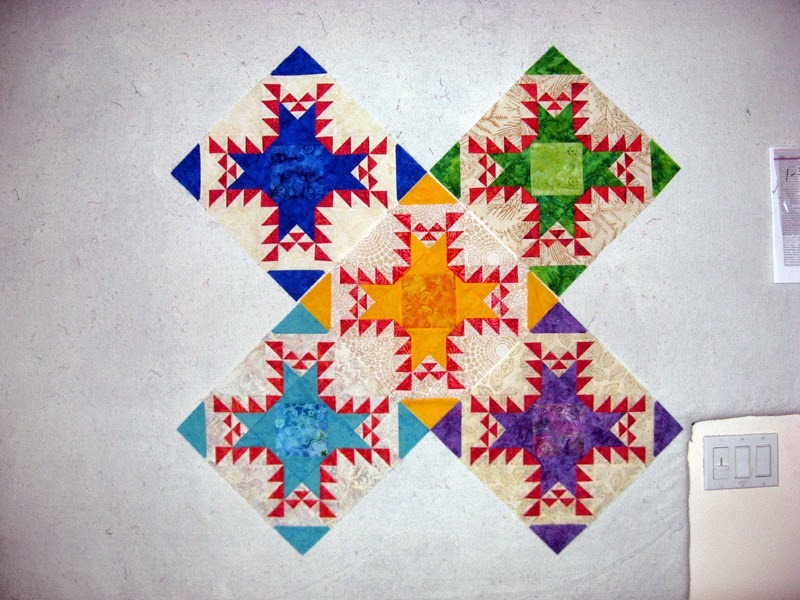 The remaining three units of the flying geese in a quarter circle will be done in the same fabrics in the same sequence. 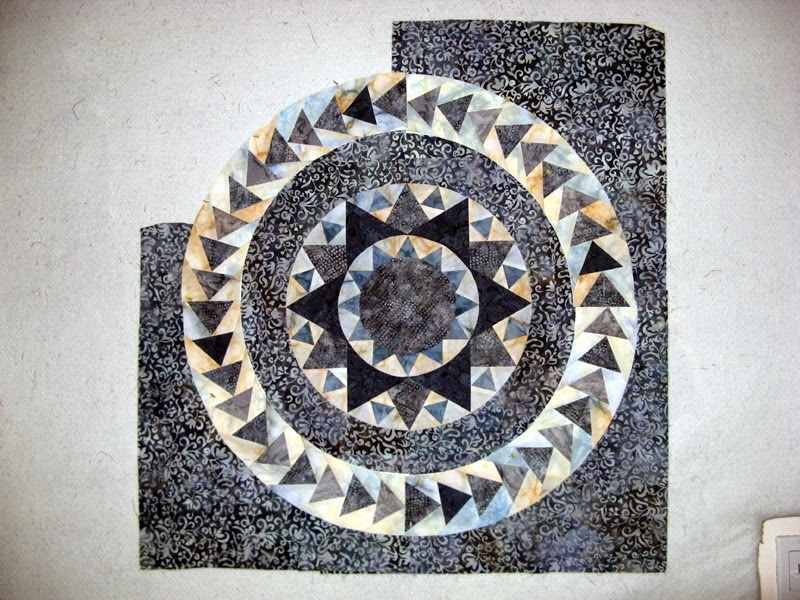 If you need a Flying Geese in a Quarter Circle pattern Caryl Byer Fallert has on available free online. Project two is Korners. I am nearly finished with it. 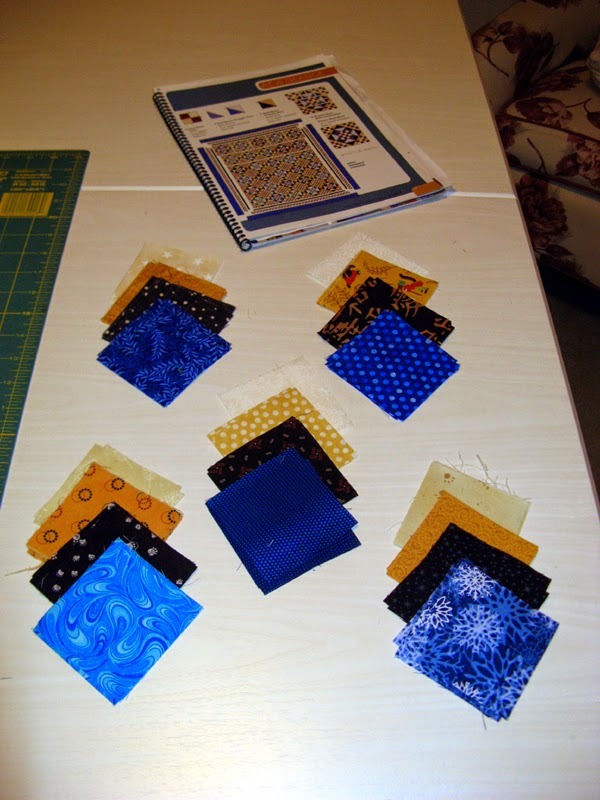 I need to find a good blue that will fit well with the other blues I have used in the blocks. 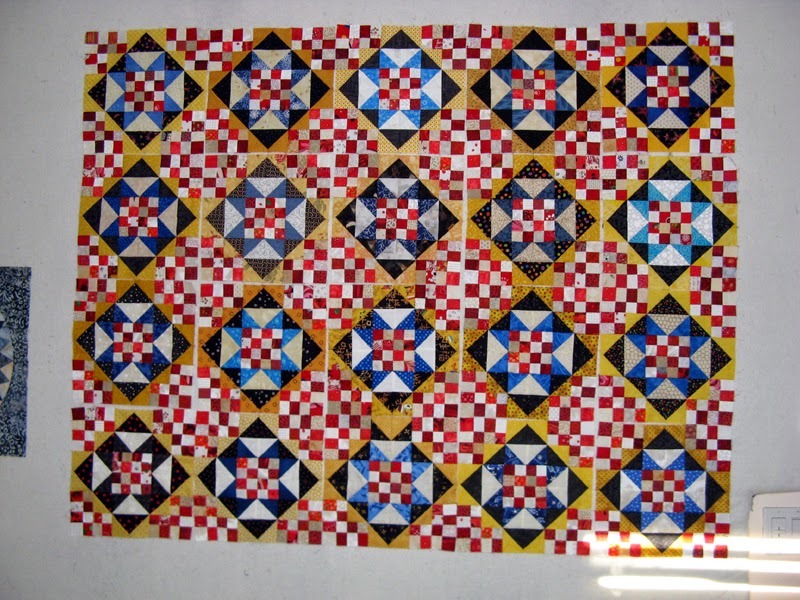 I have several fabrics that could work, but nothing large enough for the 4 1/2" outer border. 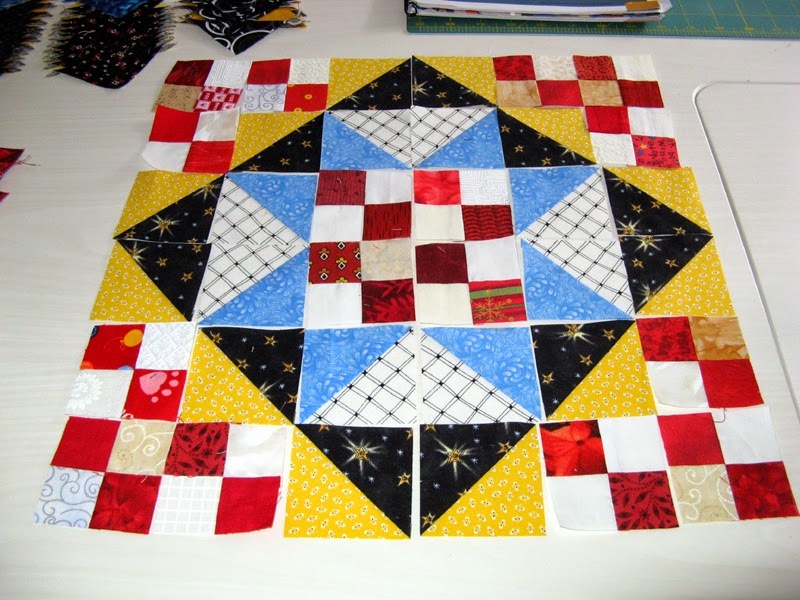 I am debating if I will purchase a piece for the back or put some squares together. Korners is a bit large as Bonnie Hunter's designs are often. This one is her Winston Ways that finishes at 74" x 86". I took this in a workshop same sponsor and location as with Kompass. 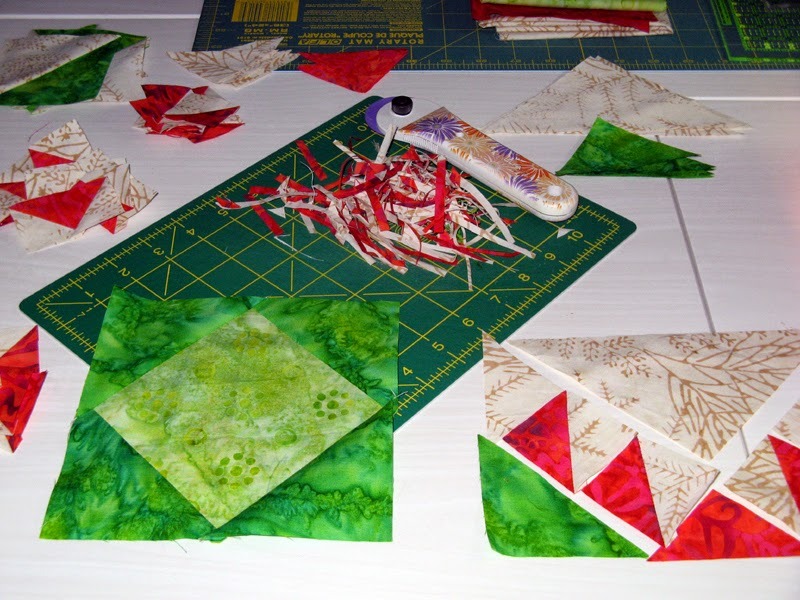 I hope you have something fun and a bit of a challenge going on in your sewing room. 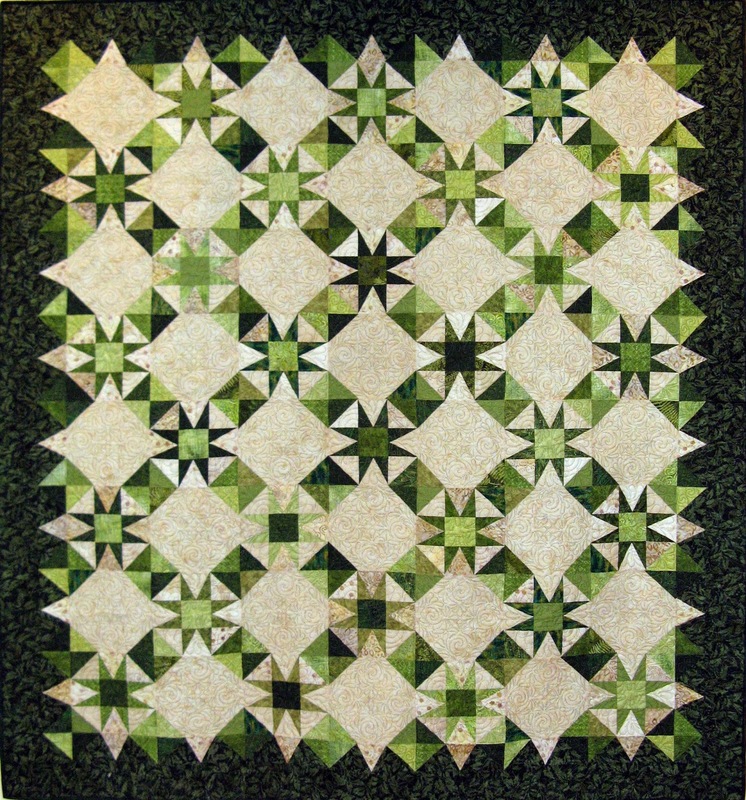 See other quilters having fun in their sewing rooms through the links today at Patchwork Times. I am so close to finishing Korners it's sad there weren't a few more hours yesterday for sewing. 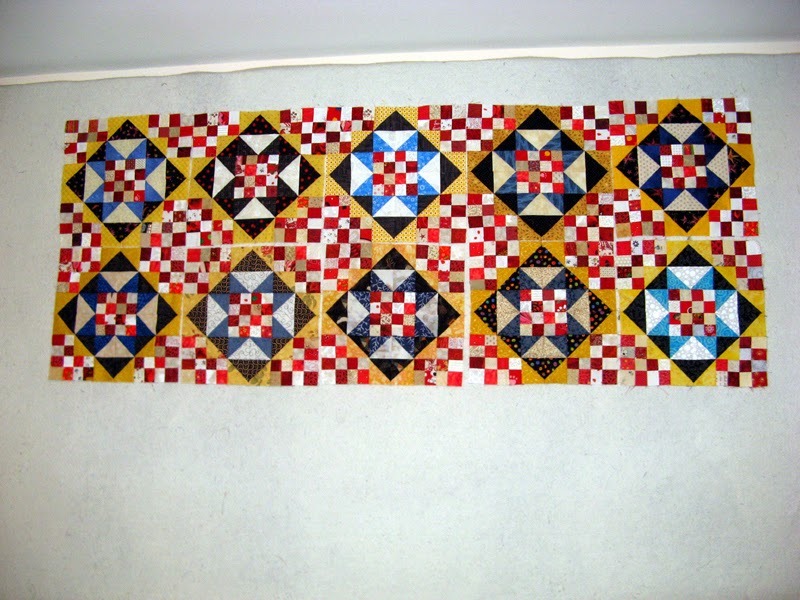 I have the pieced borders done. 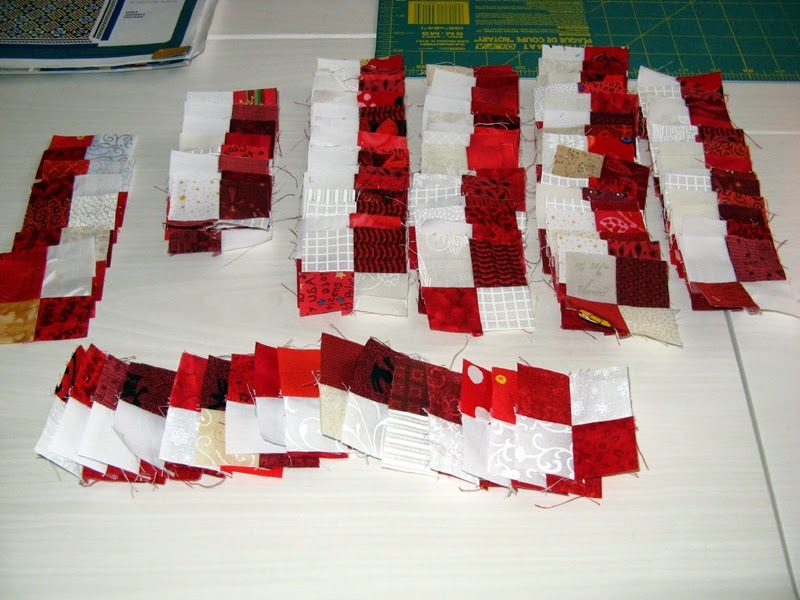 All the blocks are sewn into rows and the first three rows are sewn together. While the laundry is going I will be sewing the remaining rows together. I have the black inner border cut. Finished it will be 3/4" wide. Just enough to set it apart from the blocks. I just might need to purchase a blue for the outside border...would rather find it in my stash where all of the other fabrics have come from, but it might not be. For this week I have a null report. I certainly will have something to change the numbers next week! Enjoy this beautiful day; the first days of Spring. 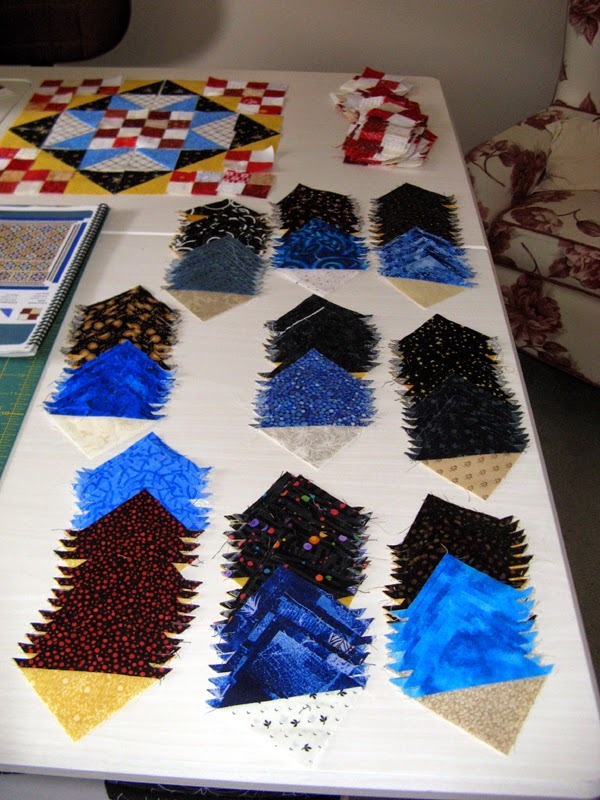 I started Sunday with a bunch of trimming on the final HSTs for the blocks it will take to complete Korners. I trimmed several of them then turned my attention to assembling. Now I am ready for assembling another five before a bit more trimming and of course more 4-patches. I did find time in the morning while it was still somewhat cool to finish the binding on Kurly Kats. (Kool Kats Kwilt by Patti Carey.) I'm happy how this design turned out. I used the pieces of an extra cat and leftovers for the sleeve. It occurred to me that I never shared my finish of Kaskade. (Ice Castles by Deb Luttrell.) Excited to learn what I will be binding next! I received a surprise on Saturday from my Mom. 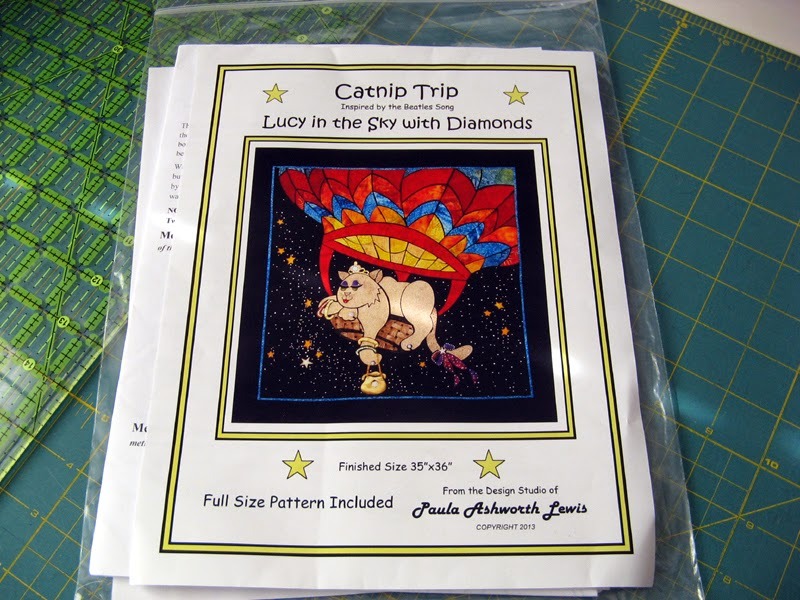 During her trip to my brothers home she found this adorable design by Paula Ashworth Lewis called Lucy in the Sky with Diamonds. This one will be fun putting together some time soon. I have a long work week ahead. You can bet I'll be sitting in front of the TV tonight for the first episode of Dancing With the Stars... Korners' blocks humming under my Pfaff. 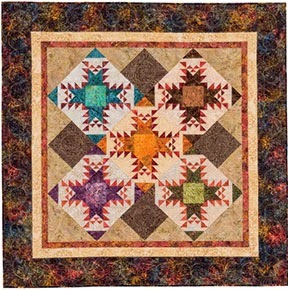 Enjoy your week ahead and look for more inspiration through the links at Patchwork Times. A bit of stash enhancement today. I have a use for it with one of my UFOs this year. 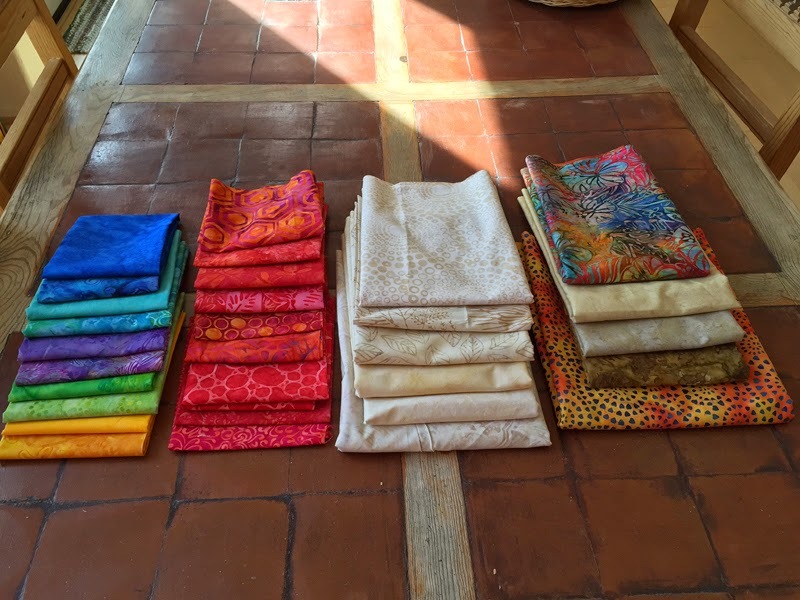 A nice wide backing fabric from Sew Batik. If you've not heard of them you should. 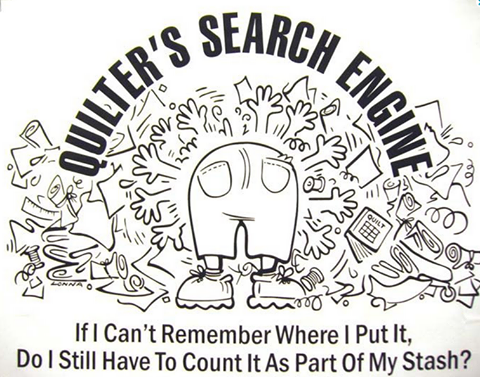 They are at most major quilt shows and some long arm quilters sell their line. Of course you can always go to their website to purchase. 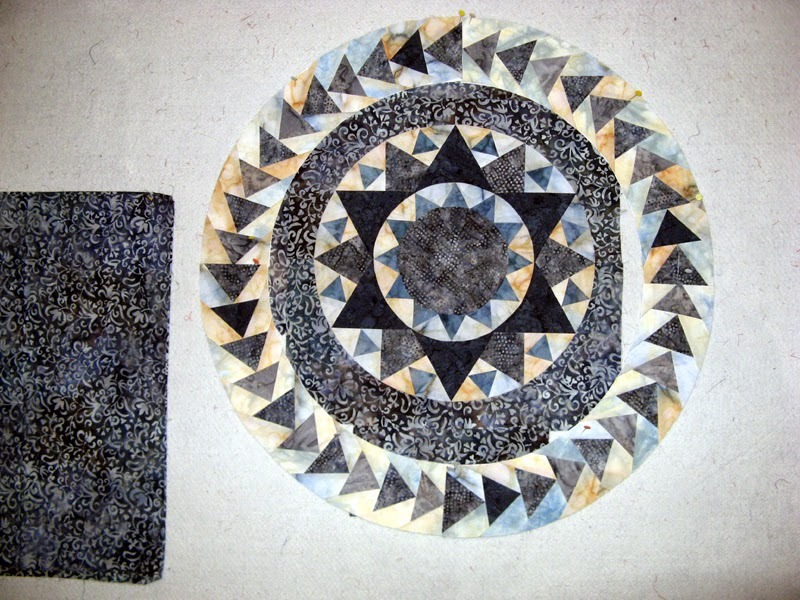 They have a very large variety of nice batiks; both 45" and 120" wide. These are what is left of the HSTs in blue/white and black/yellow to trim up. I will be changing my blade and using my trusty 2 1/2" Bloc-Loc ruler to tackle them. My project as today starts. I hope to get done with a few more blocks while doing the laundry. I just may finish Korners this month! Sure would be nice to be one month ahead on my 2015 UFO list. Saturday morning I got half of Kurly Kats hand sewing the binding done. It was just too hot Saturday in San Diego to have all of it's fabric in my lap much more than the few hours just after breakfast. We had record heat in some parts of the county. At one point it was 93'...and Spring hasn't even started yet. This heat wave is to last a few days and then drop back down to normal temperatures for this time of year in our area. I hope your week is awesome. 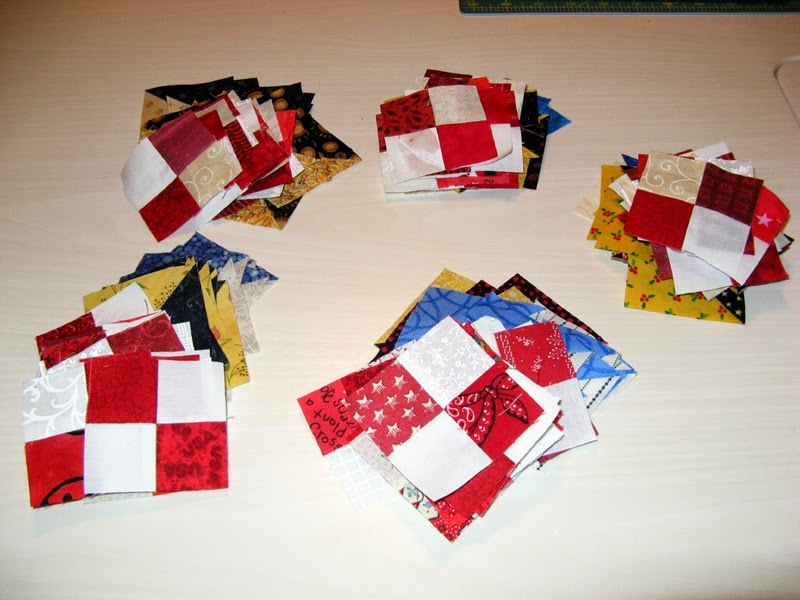 See how others are using their stash through the links at patchworktimes.com. I hope that you had an excellent Friday the 13th; that nothing went amiss for you... 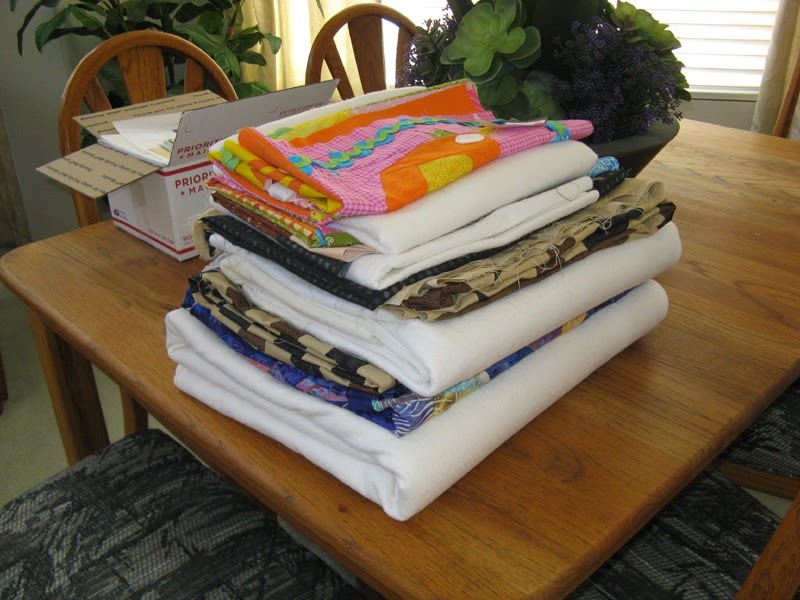 I had a terrific day in my sewing room. The weather in San Diego has been warm, but there has been a nice breeze along with the overhead ceiling fan to keep me comfortable. Here is progress on Korners for today. 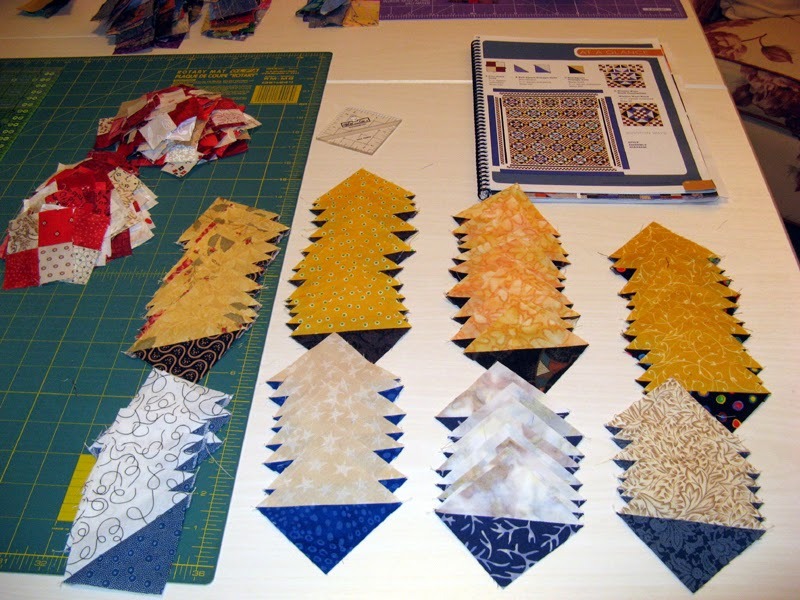 I have the HSTs in yellow/black and white/blue done for the next block. I've run out of 4-patches! Time to get back to making them. I found time to create the sleeve and machine down the binding on Kurly Kats. 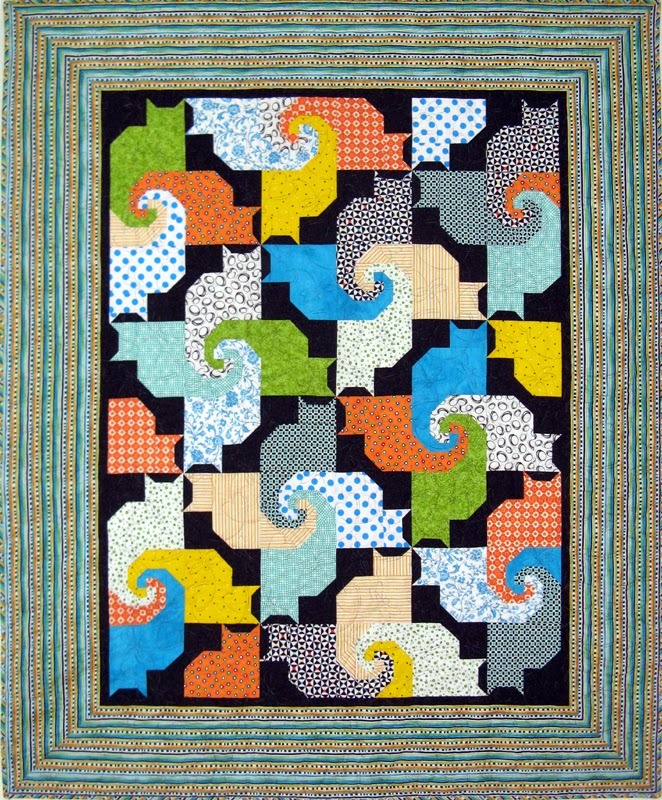 Pictures tomorrow...come back and see this snails tail bright, bold colored kitty quilt. I have Korners back up on my design wall. This is only 10 of the 30 blocks the project calls for. You can see that there are more ready for sewing. I have a bunch of those 4-patches made up, but still have many, many more to make. Link up to other projects around the globe at PatchworkTimes.com. Enjoy your week. Introducing Kabuki! This is my March UFO. 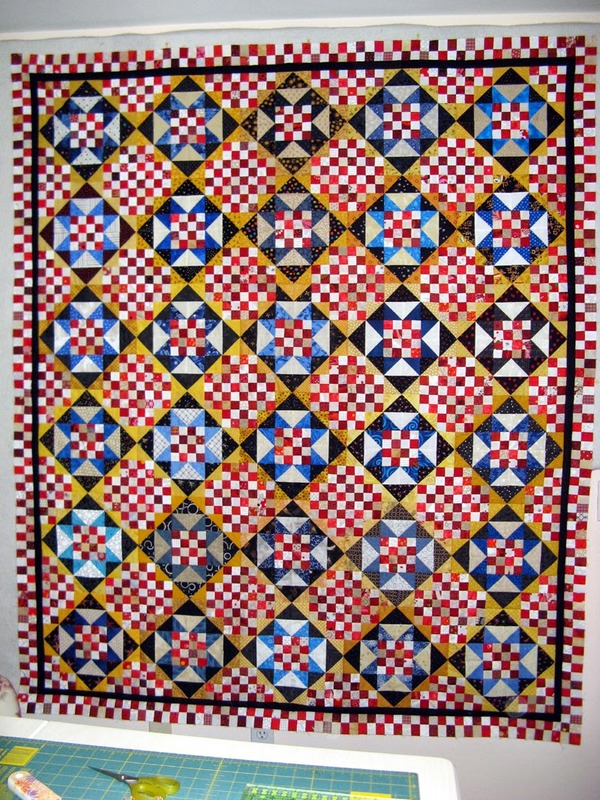 It sure goes by fast when most of the cutting and some of the work is already started... Kabuki is a FREE pattern available from Bonnie Hunter on her Quiltville.com website. The design is called Dancing Nine Patch! Nice to have it done so I can do more on Korners. Korners is also a UFO for 2015 that has not been announced to work on yet. 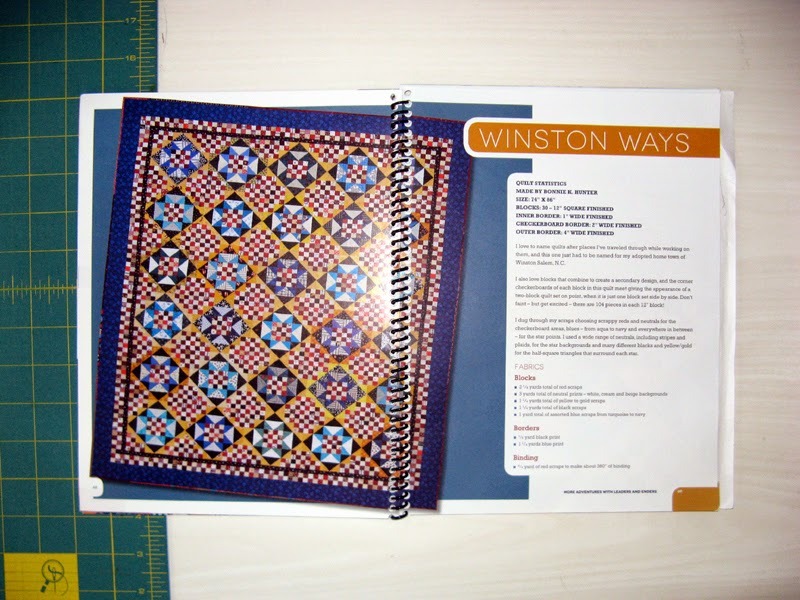 Knowing how much is involved with the pattern (also by Bonnie Hunter called Winston Ways); I want to get far in to it. Being it's only the first few days of March, I may just finish it this month. Above and below photos were taken when I last touched the project. I have all day today to work on it so we'll see how much further I can get. I did spend some time this week drafting up a strong possible design finish for my Bella Bella Medallion. I will have more on this tomorrow. Hope you have time to stop by again. I hope that you have a lovely Sunday. 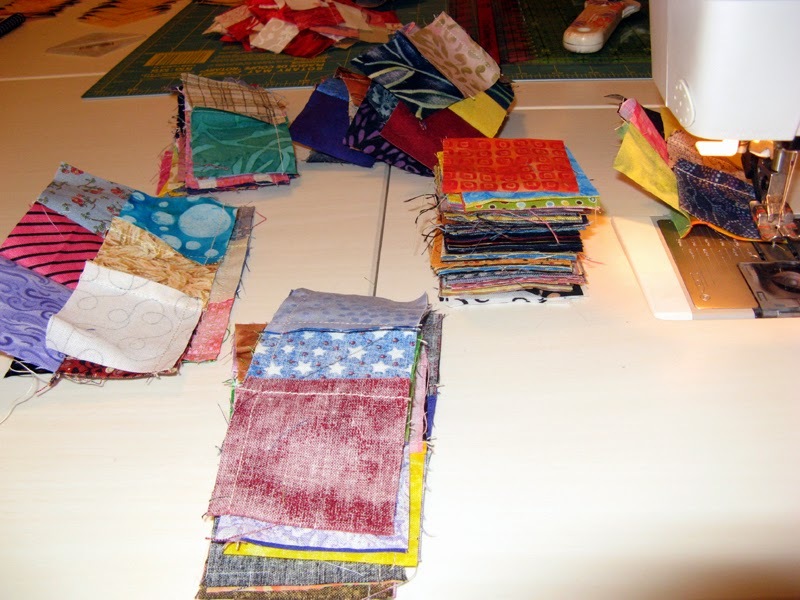 See how others are using their stash through the links at patchworktimes.com. Before I knew what I'd be working on for my March UFO; I tackled some of the many 4-patches that I will be required for Korners. This one is called Winston Ways from Bonnie Hunter. It is one of my UFOs for 2015. It is my #3 that hasn't been called yet. 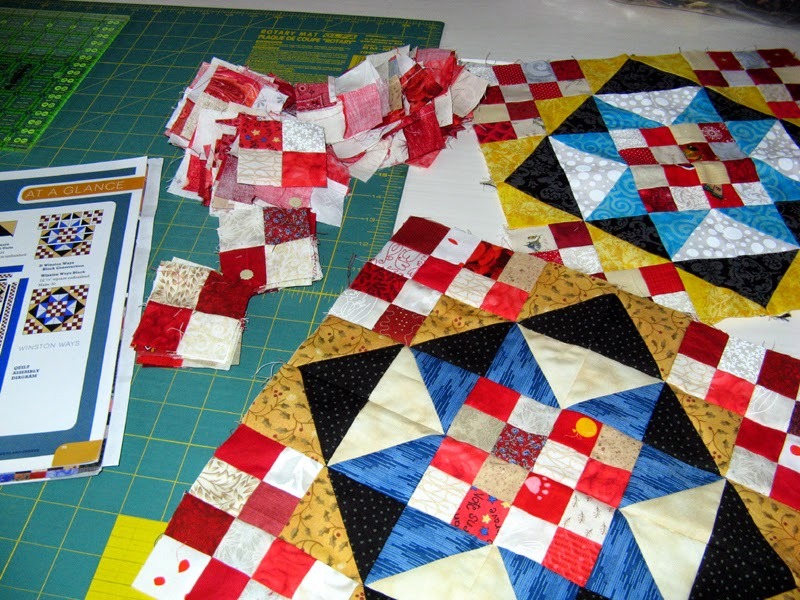 These are the first six blocks (one thanks to Debra who made one too many for her project). I have another four that will soon be ready for assembly once the 2 1/2" Bloc-Loc ruler squares up the two different HSTs. 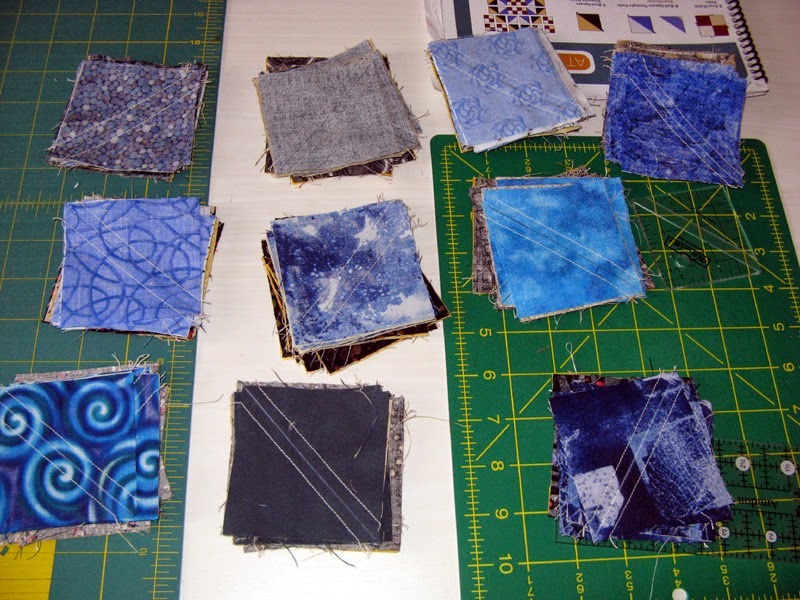 I have a pile of 4-patches made that have been worked into the blocks. The huge amount still yet to go is for the borders. 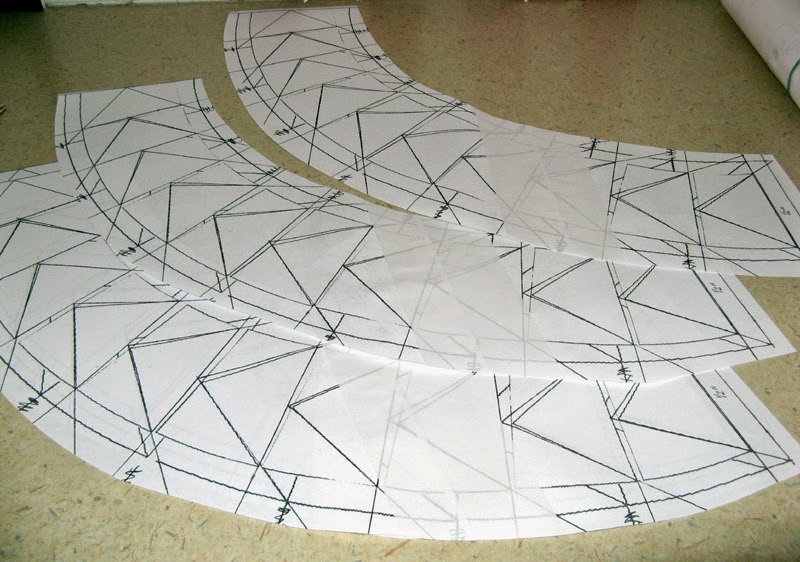 Everything is cut, just a matter of sewing. Now that I know #4 is for March. I set Korners aside for Kabuki. 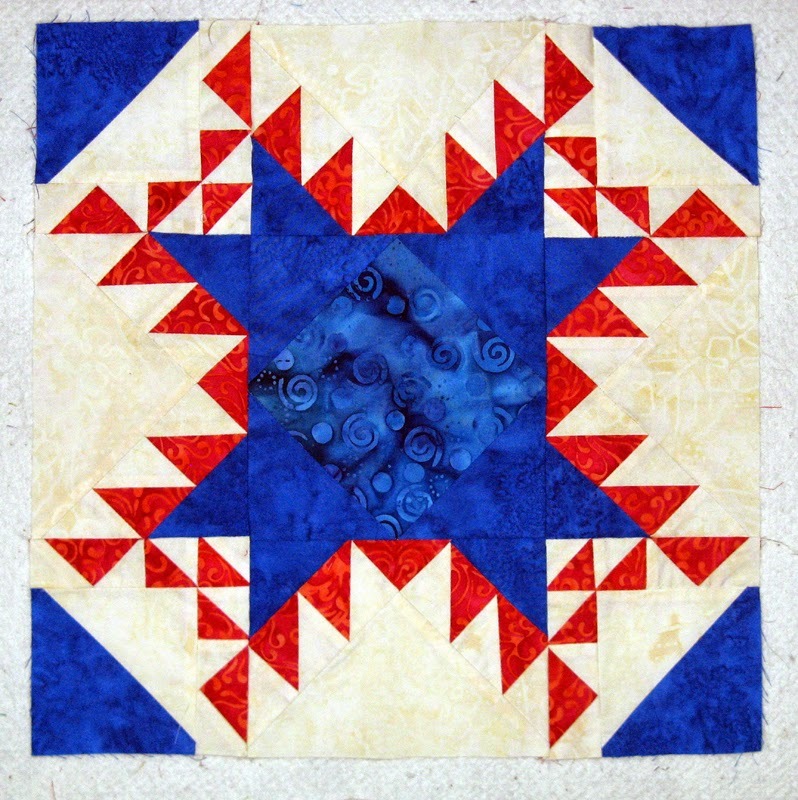 My 2015 UFO list is full of Bonnie Hunter designs and this is another, Dancing Nine Patch. Funny the first two, January and February, were both her designs too! 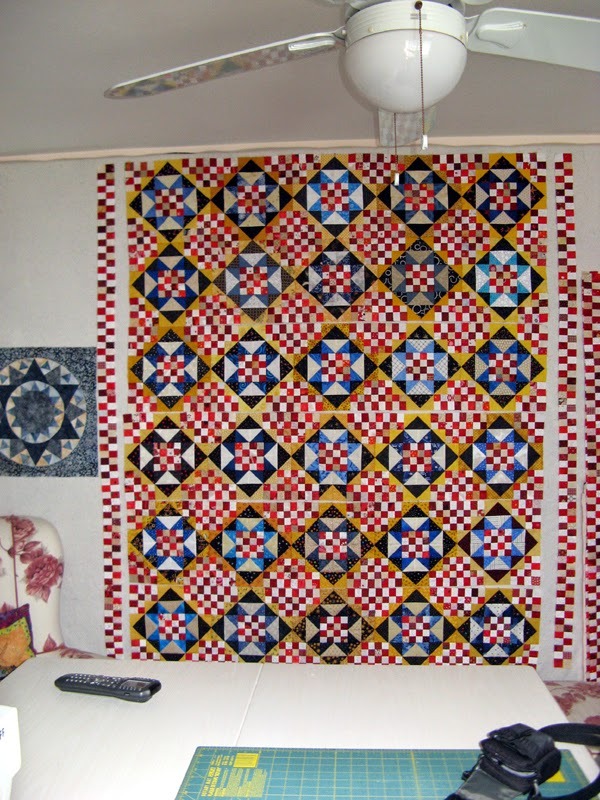 Hope there is time in your schedule to see other wonderful projects through the links of Patchwork Times. 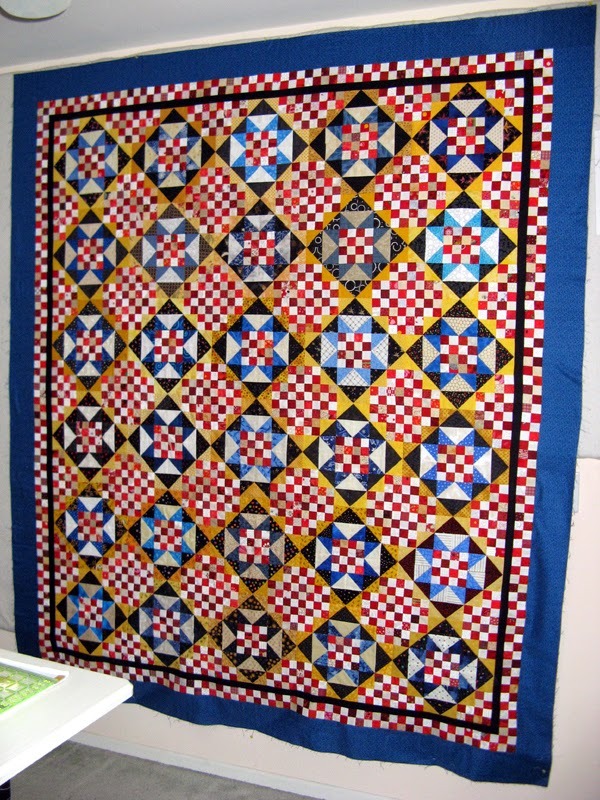 Today is UFO Parade Day for February at Aunt Marti's 52quilts.com. If you have time check out who finished projects this past month. Also it's the time when March's project number is selected...wonder what you'll be seeing me working on next month? I'm pretty excited to get into something new. This week I have the completion of Kurry to account for and the purchase of its back. 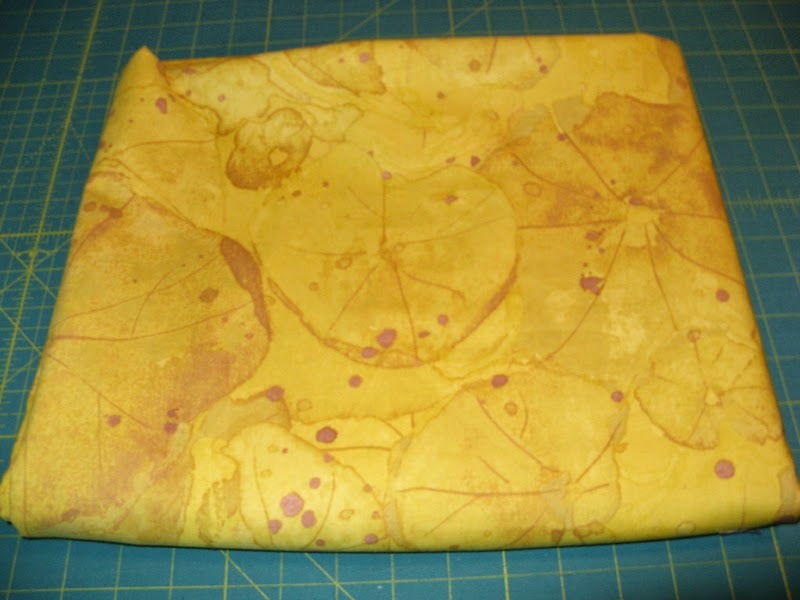 I picked up this yellow print with just a touch of pink from Beverly'. 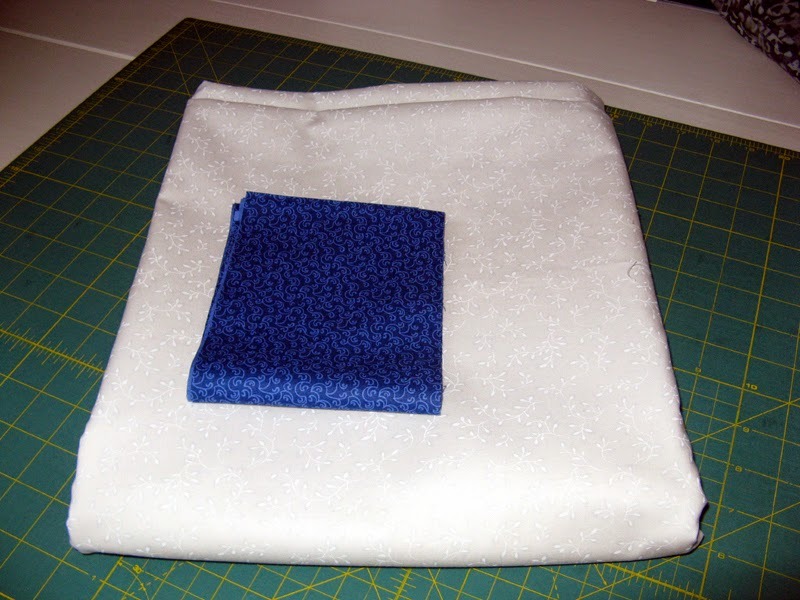 I'm thinking to use scraps from the fabrics of the top for a scrappy binding. 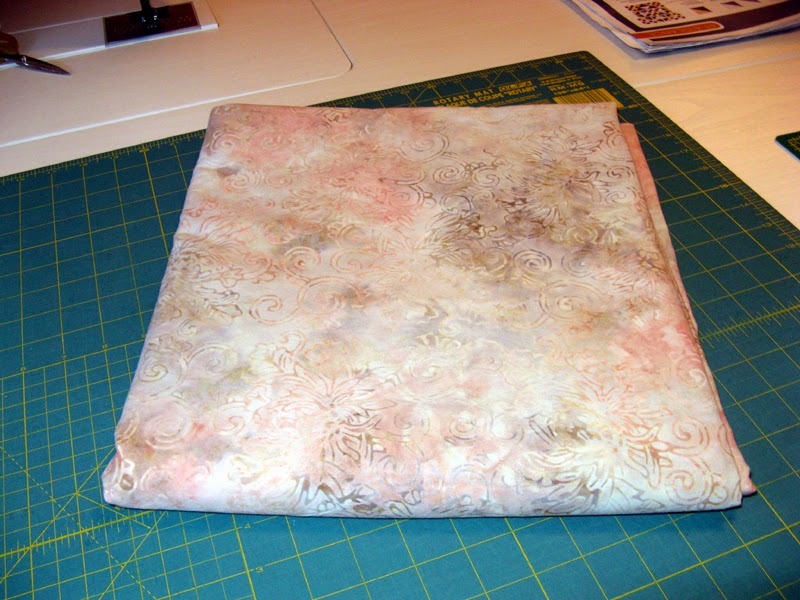 After that wide border of purple bringing movement out to the binding seems like a good idea to me. 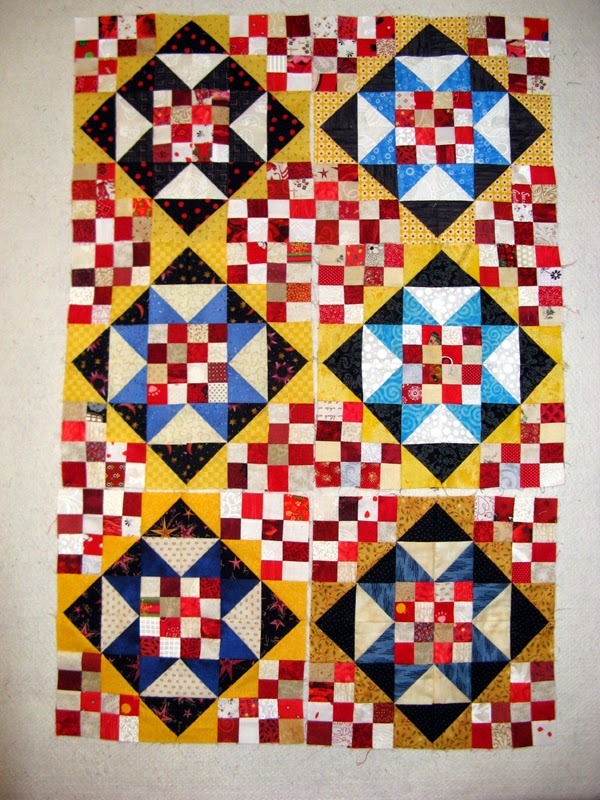 As for the quilting thread either a multi colored or yellow are racing across my thoughts. The decision will come once there is an audition at Kerry's Quilting. Yesterday since my sewing room lacks an active project in anticipation for March's UFO to be selected, I pulled out Korners to work on. Korners is from the Bonnie Hunter workshop I took in November last year. It is her design Winston Ways. There are 620 2 1/2" unfinished 4-patches to make. I probably have less than 100 sewn together. When this UFO is called I'll be racing to have these done. How nice would it be if I can have them ready? 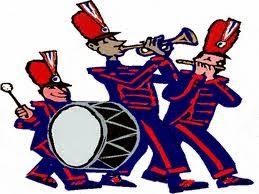 I hope that you have a lovely Sunday and a wonderful March. 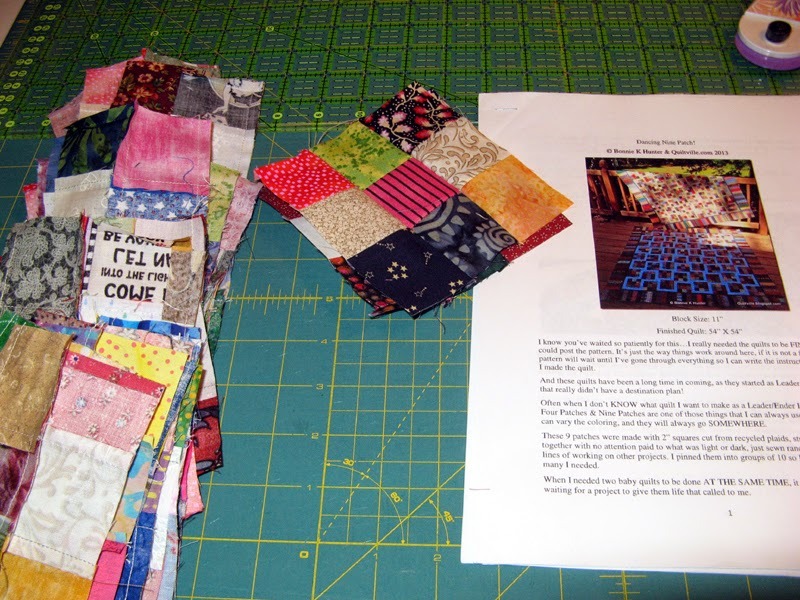 See how others are using their stash through the links at patchworktimes.com.